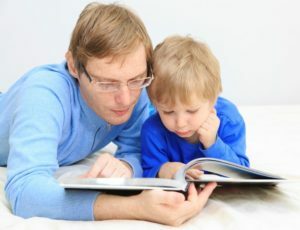 Shared storybook reading is one of the greatest gifts a parent can give a child. 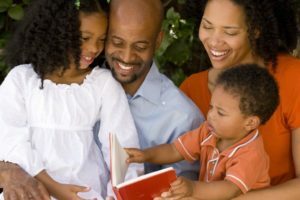 At its best, this one activity can promote strong parent-child attachment, nurture key early language and literacy skills, strengthen a child’s pride in their cultural and personal identity, expand their knowledge of the world, and help them process strong emotions and deal with life’s challenges. 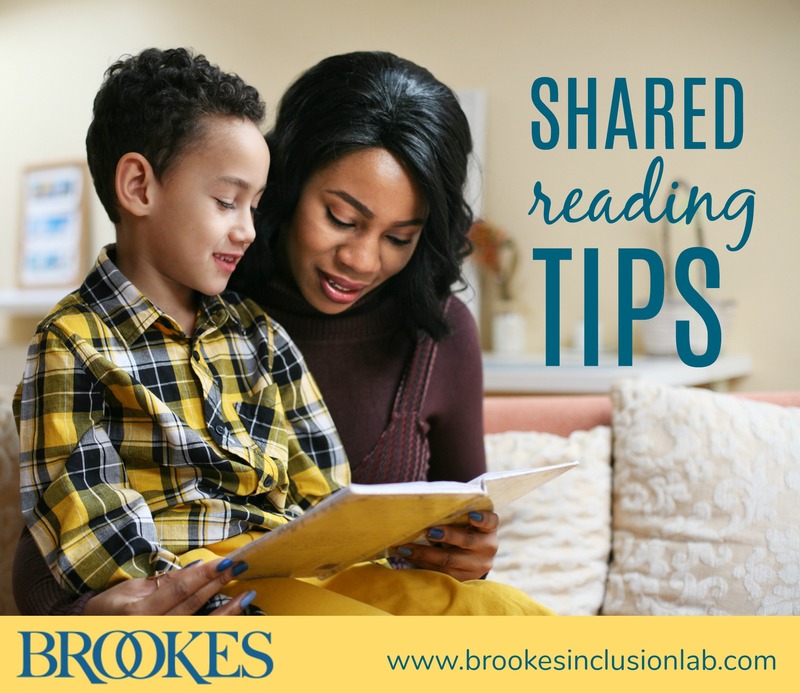 Today’s post gives you 16 practical shared reading tips, adapted from some new and classic Brookes books from top early childhood experts. Share this post with families, and help them make the most of their special storytimes with young children. Select high-quality books that interest your child. You might want to ask a children’s librarian or child care providers or teachers for guidance and book recommendations. Be sure not to underestimate the level of language or information your child may enjoy. 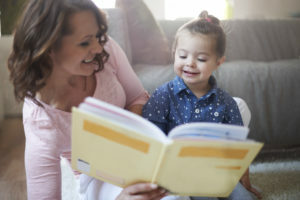 Sometimes grownups limit their selections to books with simple words intended for begin­ning readers, but it’s also important to choose books that stretch your child’s spoken language and expand their knowledge. Ensure that children “see themselves” in books you read. 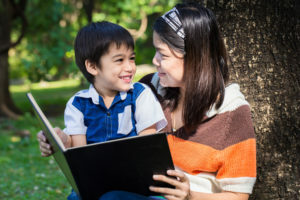 Cultivate a diverse library, including books that feature characters who look like your child and share their cultural background, family structure, and interests. For children of color and those with disabilities or challenges, who may often be exposed to stereotyped images in mainstream culture, books that provide realistic images and affirmation of identity are essential (even for very young children). Stock your library with different kinds of books. 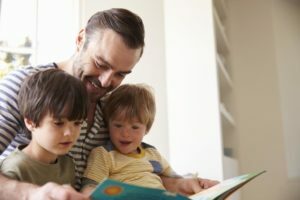 Storybooks are important, but don’t forget to include informational books that teach young children about key concepts and expand their knowledge of the world (e.g., books about animals, machines, natural phenomena, and other countries). Set the stage for success with comfortable seating, a quiet environment free from distractions, and sufficient lighting for reading the print and examining the pictures. (It might be helpful to have a designated reading space prepared so you can share a book whenever the opportunity arises.) Position yourselves so that you and the child (or children) can see the book at the same time. Engage your child with questions about the book. Ask questions that challenge and “stretch” your child. These may be questions about the names for things, but they can also be about why characters are doing things or how they’re feel­ing. Informational books can give you rich starting points for talk about the physical world. Praise your child when they respond to your questions and ask their own! Build your child’s world knowledge. Be alert for instances when the time period or location of the story’s events are unfamil­iar to your child. Make sure you give the child enough information to understand the story. When you’re reading informational books, be especially aware of the need to ask questions and respond to your child’s questions. These mini-lessons should be brief and can occur at any time as you read. Use books to expand your child’s vocabulary. Watch for words you think your child may not know and briefly talk about them. When you reread a book, ask your child if he remembers what the word means, and try to use new words at other times of the day to reinforce knowledge. Encourage letter learning as you read. Try pointing to letters as you say their names, singing a slowed-down ABC song while you point to each letter in the book. Turn to random pages in the book and see if children can name and point to the letters themselves. You can follow up by having your child make their own ABC book by finding or drawing pictures for each letter. Read a story with a strong pattern. Encourage the child to retell the story, replicating the pattern. After your child has learned to retell the story, have him create his own story with similar patterns. Help him make his own books, using word and picture stickers, dictation, and drawings. Differentiate print from pictures. There are two ways to do this. The first way is to track the print in the storybook by running a finger under the line of print in a smooth motion from left to right. This nonverbal cue shows children what is being read and may help them associate the printed word with the spoken word. 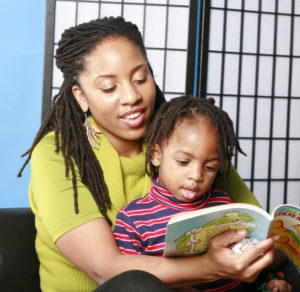 A second way to show the difference is by pointing to an illustration and saying, “Here is a picture that shows what is happening in the story,” and then pointing to the print and saying, “These are the words that tell the story.” Doing this two or three times during one or two reading sessions may be all that is necessary for children to acquire this skill. Strengthen your child’s comprehension skills by helping her under­stand the book while remaining alert for questions or signs of con­fusion. Notice things that might be confusing, and ask your child questions (“Why do you think he wanted to do that?”). 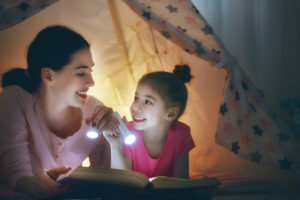 Make connections to your child’s life and experiences, and give her information beyond what’s provided in the book. Adapt books if necessary. For young children with disabilities, modifications may be needed to provide opportunities for developing preliteracy skills. Try attaching foam pieces to the edges of the pages to make page-turning easier, simplifying books by stressing key words or shortening sentences, using photographs and other materials that extend the concepts and vocabulary, and adding tactile experiences while reading to children with vision and hearing loss. Use books as “bibliotherapy.” Choose books that deal with tough emotions and tell reassuring stories about characters who struggle with sibling rivalry; conflicts with friends; feelings of smallness, guilt, or inadequacy; or feelings of being left out or different. These can help children work out common fears, worries, and social problems. Make reading an enjoyable routine. As you read the book, laugh a lot. Respond to your child’s interests and comments, and share your own enthusiasm, ques­tions, and enjoyment. Try to make it a regular routine—read at the same time each day if you can. Reread books. It’s no secret that children enjoy hearing their favorite books many times! That’s a good thing: repetition gives them many chances to absorb the language of the book. Make sure you select high-quality books to increase the usefulness of these repeat readings. 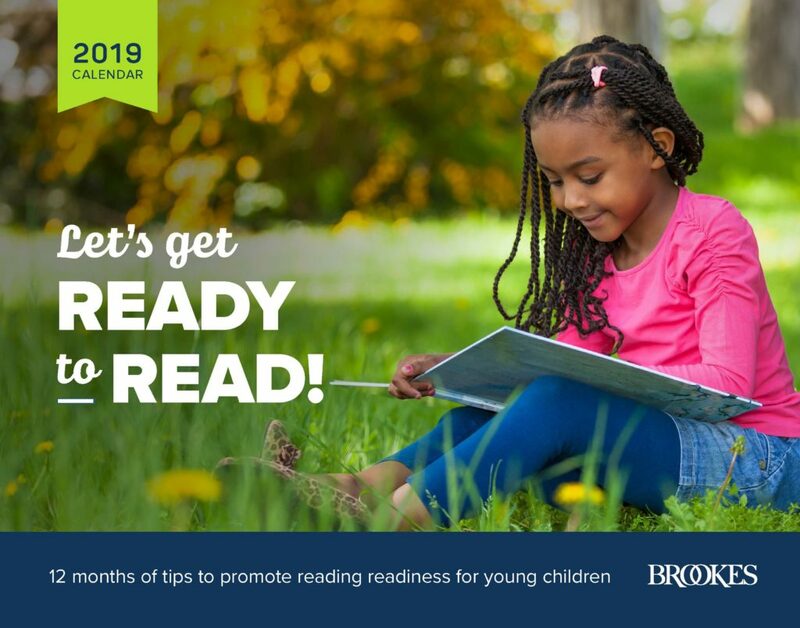 Want 12 months of tips on promoting reading readiness for young children? Print this full-color calendar today and share it with the families you know! Just click the button below and fill out the quick form to get your printable download.